For over a decade we were joined at the hip. Not a day went by when we didn’t talk on the phone…at least once. But sometimes friendships come unhinged. People change. Perspectives change. Purposes change. Passions change. While nothing went terribly wrong, and no hurtful words were exchanged, the void was vast beyond bridging. Erased as if I had never been. For me, it was niggling ache. A phantom pain that shot straight through at unexpected times. Yep. I memorized it. I taught it. I flashed it on the screen in power point Technicolor. I was reading a book by Canadian, Mark Buchanan: Your God is Too Safe (What is it about these amazing Canadian writers?) As he was sharing about how wounds can heal or hurt (yes, heal), he diagnosed my heart-sickness with one fell swoop of the pen. That “thing” I had been struggling with but unable to define. My own deepest heart wounds have been inflicted by people who never set out to hurt me. It was worse. At some point they stopped even caring that what they did would hurt me. I became beside the point. My existence ceased to matter. The importance I believed I occupied in the heart of the other, the place of cherishing I thought was reserved for me turned out to be a myth. I became beside the point. My existence ceased to matter. For me, it was the worst kind of pain. A malignancy that spread and gnawed on other areas of my life. Now that I had a diagnosis–now that the dis-ease had a name, I was faced with a choice. That’s what God does, you know. He doesn’t reveal a soul-sickness just for revelation sake. It is always to bring healing…repentance…to help make you well. Jesus understands what if feels like to be of “no consequence” to someone (many someones) that He loves. He gets it. He wants you to let Him take it. Let it go—not just out into to oblivion, but onto Him. Into Him. Here’s what Jesus wants YOU to know. You are of great consequence. You are significant. Your existence will never cease to matter. I did when someone asked me the same question. Now think of the all-encompassing love of God. Above you. Beside you. Under you. You couldn’t get away from it if you tried. That is the space inside the circle and outside the circle. Why in the world do we focus at the one person who has hurt us, or doesn’t care about us (the dot) and not on all the other people in lives who do love us? Of the God who loves us? So here’s what I’m going to do. Here’s what I’m challenging you to do. Stop focusing on the dot. Focus on the space around the dot. The dot is just that–a dot! She is a dot. He is a dot. I haven’t recieved updates of this blog for many weeks now and was pondering why just a few days ago. Then this came through thi8s morning – exactly the message I needed at the time I needed it. I have spent too much time focussing on the dots in my life and far too little time on the love filled sapce around me. God’s timimg is truly amazing! Hi Helen. Thank you for missing the posts! To be honest, I have had a hard time writing since my mom died in September. Praise God the fog is beginning to clear! I’ve missed everyone and am excited to get back to our visits! So sorry to hear about your mom’s passing. May God give you comfort. Praying for you. I have missed reading from you! I will no longer focus on the dot! i am not going to focus on the dot anymore!!!!! Sharon, this is a wonderful revelation. I can’t tell you how I needed to hear this word today. 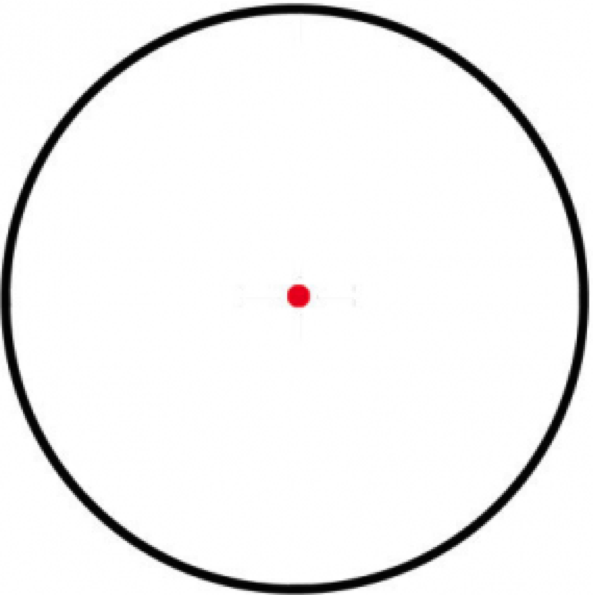 I’m accepting your challenge and will choose to focus on the space around the dot. God’s love surrounds us … surrounds me. As the mountains surround Jerusalem, so the LORD surrounds his people both now and forevermore (Psalm 125:2). Blessings to you for your faithful ministering of God’s Word. I am no longer focusing on the dot. I will no longer focus on the dot!!!!!! Thank you so much for this message…exactly what I needed today!!! I’m no longer going to focus on the dot. 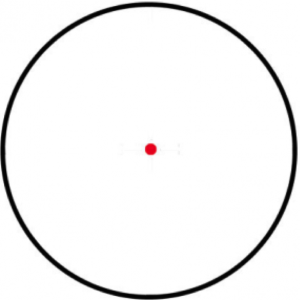 I saw a “red dot in the middle of a circle” but admittedly didn’t see being at the middle of a circle as being surrounded by space. I love how you took such a simple (on the surface) picture and brought it alive to illustrate your point. I am no longer going to focus on the dot. I’m not going to focus on the little dots in my life! I’m not going to let the little dots hurt me! I am NO longer going to focus on the dot !!!!! With the Help of the Holy Spirit I am not going to focus on the DOT any longer. God bless you. I am not going to focus on the dot! I have a sister who lives in Arizona and I in Colorado. I have tried for years to reach out to her. Just a call to say hello, 10 seconds of her time so that I know she still loves me and thinks of me from time to time. All my messages, calls or cards go unnoticed….just like me. I am not certain what horrible thing I did that made her hate me so. That made her say that she doesn’t want to see or talk to me….or even send me a simple hello, how are you in an email. I am sitting here crying and realizing that the time I have spent trying to get a little response of love from her has been wasted. I could have had the comfort of my every loving God! I still NEED to pray for her as I don’t think she even realizes how much she has hurt my very being. Abandoned her little sister…but I now also realize that it’s those times of abandonment that the Lord has been saying….I am here….I am all around you! Let me be that comfort….I am that dot…..and that space around that dot…..the Spirit of the Lord…encasing that very being! Did you here what I said…..the I AM…..oh how vast is His love and comfort….ALL around us! Thank you for helping me to realize…..
With God’s help, and I really need it…I am no longer going to focus on the dot, but on the space around it! Thank you for this post! I recently had to end a friendship which spanned more than 30 years. It was one of the hardest things I have ever done. Why? Although she was a fellow believer, she was full of negativity and our relationship had degenerated into my listening to her grumble. Did she understand? No. She saw only the dot. Thank you, Sharon! I am no longer going to focus on the dot. However, I will focus on the space around the dot which includes all the other people in my life who do care about me. Thank you, Sharon! Being reminded of the One, instead of one (tiny dot) brings everything into focus. Jesus is enough — more than enough. I am not going to focus on the dot. Eyes are on the prize. I will no longer focus on the dot. I’m no longer focusing on the dot!! I can’t believe how perfectly you put into words what my heart has been feeling. I’m so glad I took the time to read this before I started my day. I have a new perspective. I am going to focus on what I have no matter what- God’s unfailing, immeasurable, unconditional, extravagant love for me! Thank you for these words today Sharon. They have blessed me in ways you will never know. Im no longer going to focus on the dot. My sincerest condolences on your mom’s passing. I lost my mom this past September. Am so grateful for the ministry given you in Christ Jesus. Your post was answer to prayer this morning. God is good all the time. He is faithful. I am no longer going to focus on the dot. Praise God! God has a wonderful way of bringing me comfort through ordinary things in my life. I am devastated by my grandson’s complete abandonment of me and your story brought my pain into focus. For 15 years of his life he was like my own child. I had him almost every week-end of his life and many nights during the week. I invested time and energy that I stole from my husband, friends and others I loved. He was the center of my existence. Then he reached the age where he developed his own personality and his own life. That is what I had prayed for and what I had worked so hard to help him achieve. But I had no idea he would toss me aside for his new found freedom and friends. I pictured us being good buddies through the grown up years. I thought he would still need to hear from me as much as I need to hear from him. That didn’t happen. It is as if I don’t exist. Worse than that, it feels like he I ashamed of me and is afraid others will know we are related. I don’t even feel like I am the “dot.” I feel like a complete void. A friend once told me that people come into our life “for a reason, for a season or for a lifetime.” Only time will tell where my grandson fits. Right now, there are others in my life who need my attention–my husband, my beautiful granddaughter, my daughter, my friends. If it is God’s will, my grandson will return to me, but in the meantime I have a world full of people who love me who are waiting for my love in return. I love that…for a reason, for a season, for a lifetime. I’m going to remember that. I’m no longer focusing on the dot. I am no longer going to focus on the dot! (Sharon this was the message I needed today. It is the re-direction I need to get things right. Thank-you so much). I no longer am going to focus on the dot. I’m no longer going to focus on the dot. Wow. This calmed my spirit today. Thank you so much. Thanks for a much needed message Sharon! Have a Blessed day and Christmas ! I’m no longer going to focus on the dot! Wow, did this ever hit home! I’m sitting at work trying not to weep. I have run this ministry for 10 years and all of a sudden, the new ‘guy’ on staff, without consulting me changed everything I worked on and was successfully being done. Then all of a sudden, all that work didn’t matter. Change was the thing. The faithful volunteers that kept things going for me were disregarded without a thank you. and this is a big church. My heart was, is, broken but know God is moving me on, just not sure where. Thank you for this wonderful perspective…..changing our focus DOES change our life. What if that dot is your spouse? I am no longer going to focus on the dot. What do you do when the “dot” is a spouse? for today…I will look at the space. I attended the Ladies Seminar in Knox, Pa. I was engaged with not only your words, but felt you were talking right to me. I did purchase a book, and intend to get more as the budget allows. As most children who have experienced abuse, I struggle with self-worth and value. As a teen, two church-planting families lived within doors of my own. They took interest in me and before long, I felt I had a place to belong….in God’s arms. As I grew I read scriptures about humbleness, meekness and the holiness of God. I failed to see the ones about value, love and worth. I didn’t have a hard time following the statutes I had first read. I already felt pretty poorly of myself. Slowly over the years I have been gaining an inch at a time of confidence. With prayers for courage and confidence in Him, I am able to leave my home each day and serve in my church and community. I direct a non-profit Christian organization serving the poor in my community. I have had the honor to witness miracles and serve needs directly relating to homelessness and hunger. I feel that God has used so much of my past to meet people where they are on their path and be His light in this dark world. However, this past several months I have been at a stand still. A beautiful saint and friend called me on the carpet regarding this feeling of no-value. I never really paid attention to that part of me (after all it was worth nothing). I signed up to go with some friends to Knox. I didn’t care about the speaker or the venue. I had been before, and was simply looking forward to a small get-a-way with friends. WOW! God pre-ordained the entire thing. I called Satan out, recognized his presence and continue to dismiss him daily from these thoughts of unworthiness. I have vowed to work on this issue this year. I think it will be a tough road, but at least I recognize the origin and the source of the truth. I tell you this, to bring to light your place in this. You are an unaware piece in my puzzle. Thank you for serving and sharing. I really needed to read this today. Thank you. This is EXACTLY what I have been dealing with. I couldn’t put my finger on it until now. Again, thank you. Moving forward I’m not going to focus on the dot! absolutely focusing on ALL THAT LOVE SPACE……He is my strong warrior; might to carry me & save me. Hallelujah King Jesus!!! I needed this today. Very much. I am adjusting to a new normal as being “disabled”. I had two spinal cord surgeries and a colostomy over a short period of time between September 2011 to July 2013. This was followed by cancer and 6 weeks of radiation. I was left with some paralysis of my right leg and foot. I have daily lower back (and leg) pain. I can’t walk un-aided. I’m clumsy. BUT GOD. But I am alive. I need my life to still count for something. I can no longer ‘work’ as I did before. But GOD. But GOD has me here to (?). I can pray. And I can feed my soul with truth. So thank you for helping me re-focus this morning. I am in HIS grip. So hard to do when the dots are your husband and children. I cannot let them go. I cannot tell you how your words have perfect timing. On Sunday, I was hurt deeply by someone at church. Very very deeply. It left me feeling that no one at church cared about me, or what was said to me. I haven’t slept more than a few good hours since Saturday night. I needed to hear this message today. Right Now. I am focusing on the dot. The dot that in the grand scheme of things is only a dot. I am going to go to The Word right now, wrap myself in the space of God that surrounds me. And know that no matter what that person thinks of me and my family, that my JESUS is not in agreement with him. God Bless your heart Sharon. I’m no longer going to focus on the dot. I have been struggling so much lately with this. Thank you. I am not going to focus on the dot. I do like the visual. It helps me focus on Gods love and His faithfulness. Thank you. Thank you. I am not going to focus on the dot.Thank you for validating how I feel. yep ..Not looking at the dot!! thank you for writing this. it was so encouraging! I am no longer going to focus on the dot!!! In fact will carry that picture in my head for a long time. It is as if you knew what I have been experiencing the past year. I am l no longer going to focus on that dot! I’m no longer going to focus on the dot!..Like you I focused on a lost friendship and my heart was broken daily. We had been friends since childhood ad somewhere between marriage, the birth of children and distance between we drifted apart due to a stupid misunderstanding. 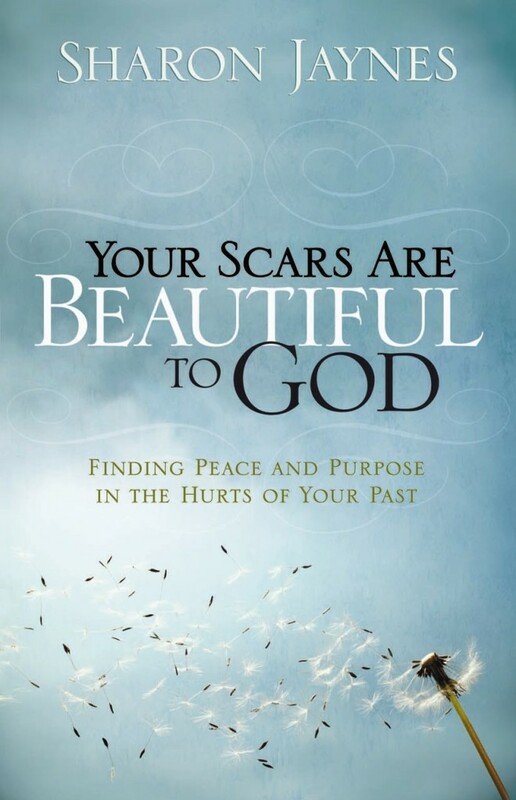 God nudged me to write to my dear friend and try to mend the fence. Weeks and months went by with me checking my e-mail daily waiting for a response to my apology with disappointment each time I signed in. Finally the day came , I was actually horrified to open the e-mail but to my surprise it was a acceptance to my request to start over with our friendship, leaving the past behind and focusing on our up to date lives . All has been well since with my dear friend due to me listening to the one who knows best, God! he surely answers prayers, in his time, not mine! I didn’t concentrate on the dot and I experienced freedom and peace. Thank you, Sharon! together and feel very thankful for that. I’m no longer going to focus on the dot! Thank you so much for the encouraging and uplifting message. I will no longer focus on the dot. But on the space of Jesus’ love for me. Amen. I am no longer focusing on the dot. For a couple of years I have felt lost and hurt because of people who were my friends and some still are but not as close as we once were. You said in your blog about no harsh words being exchanged. There were no harsh words but things happened to change the friendships. These were at our church and I have not felt loved there since. It is a struggle everyday to see the good coming from this. I know deep down God loves me and is working all this for my good but I feel numb to Him and all around me. The mentor who believed in me at church died. It seems like nothing is the same anymore. My family is still here for me always and friends outside of church are too. I hang onto believing when I can’t see the results. Thank you for writing from your heart. I just can’t thank you enough for this post!! You have put a voice to my heart!! I have been so rejected for following the Lord that I am so broken. Discarded and ‘my existence ceased to matter’. This is exactly how I feel. Thank you so much for writing this. Just knowing that someone else can express that they feel like this is so relieving. Love this, touched my heart and was refreshing. I will no longer focus on the dot! I would love to say that I want to focus on all of the other space and to forget about the “dot” but its going to take a little more God in me for me to fully get there. But believe me when I say that i’m working on getting there. Thank you for reminding me that I do matter and that I am of consequence, that makes me feel good. Do you have quadruplets? Sorry, just noticed your email and wondered. How fun!!!! Thank you so much for sharing this. I focused on the dot a long time with one of my sisters. It seemed I loved her more than she loved me. It hurt deeply. God heals all wounds when we allow Him to. I’m no longer going to focus on the dot. By the way, I read in an earlier post that you lost your mom. My condolences as I lost mine almost four years ago. It is never easy and words are never adequate, but I will pray that God will lift the fog and restore your peace in Him. I,m not going to focus on the dot.But of everthing outside the circle . That God has for me. This came as a balm in my heart, thank you so much. I refuse to focus on the dot ever again. Devine health is my portion through His stripes. I have just subscribed to your blog today; what a blessing it has been to me already! For some reason I could not fathom that there were so many people who were hurting like me by loved ones and friends that I hold deeply in my heart, but have been abandoned by them. Finally after all of these years I have the answer. I will not focus on the dot anymore. Thanks so much for the peace you’ve bestowed upon me. I will not focus on the dots in my life any more.